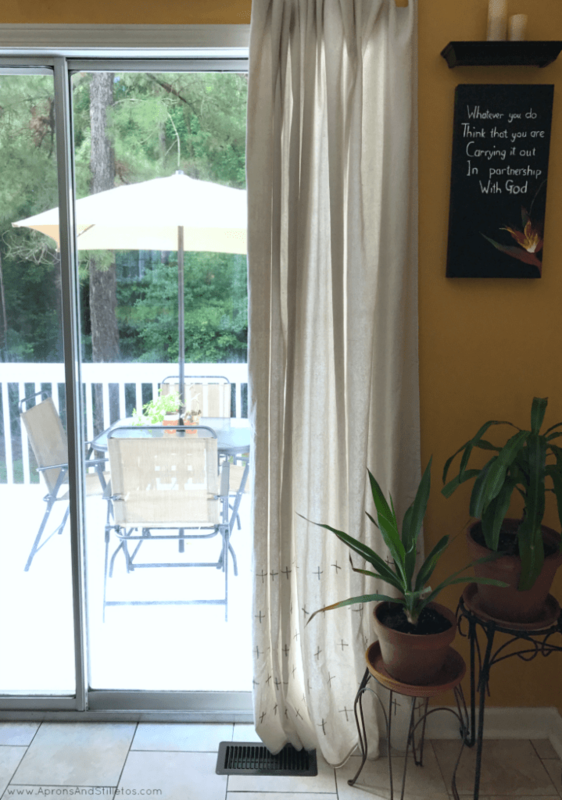 I’ve been wanting to update my deck window treatments for about ten years. While my kids were growing up, I put a lot of home improvements on hold. I loved when my kids were little, but they were also messy. Having kids comes with fingerprints and stains on your walls and fabrics. My kids are older now, but still messy so I decided to stop putting off decor updates. Instead, I’ve decided to find solutions that will let my kids be kids while I enjoy my home. This is the first of those solutions. 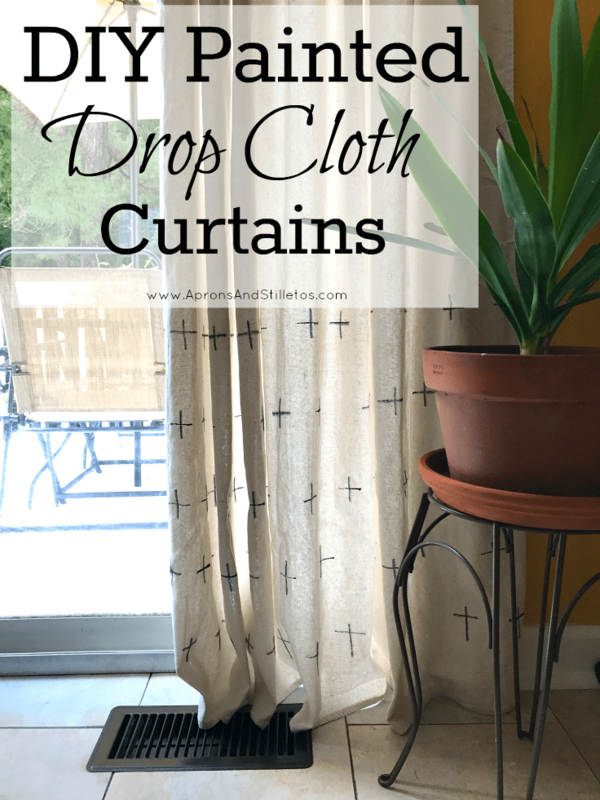 I decided to take down the window blinds covering our patio door and hang some kid-friendly DIY Painted Drop Cloth Curtains. The curtains are made using canvas drop cloth, paint and then sprayed with Scotchgard™ Fabric & Upholstery Protector. 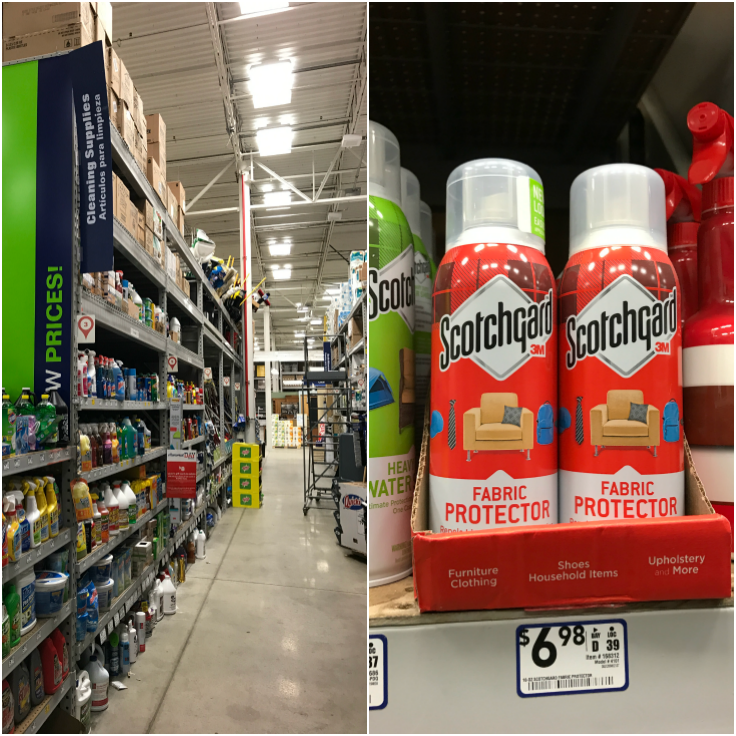 I bought all of the supplies for this project at Lowes and saved using this $1 off Scotchgard coupon. 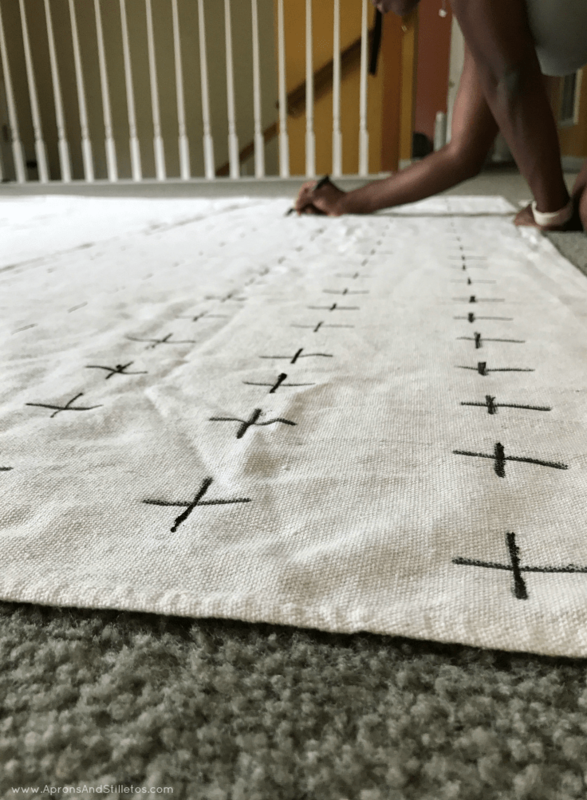 The fabric protector is for indoor use and can be used on fabric sofas, chair cushions, slip covers, throw pillows, table linens, curtains and even some clothes. I thought once my kids were older they’d be less messy and they are in some aspects, but as teens they come with other messes. Instead of waiting until I was an empty nester, I decided to stop worrying and start living. I realized that messes are a part of life and in order to live life to the fullest I must embrace them. 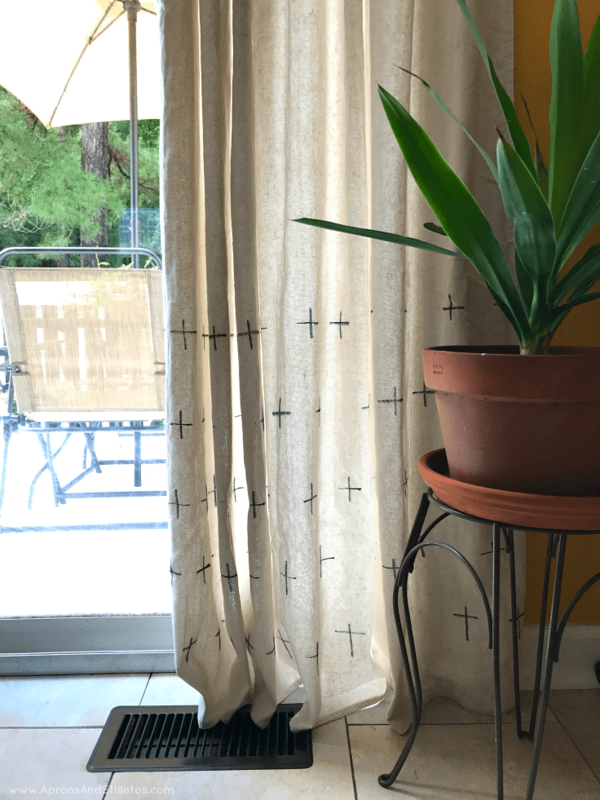 So I decided to make these simple curtains and then protect them from stains using Scotchgard™ Fabric & Upholstery Protector. Scotchgard will give my curtains invisible protection that will repel liquid from wet hands and block stains. 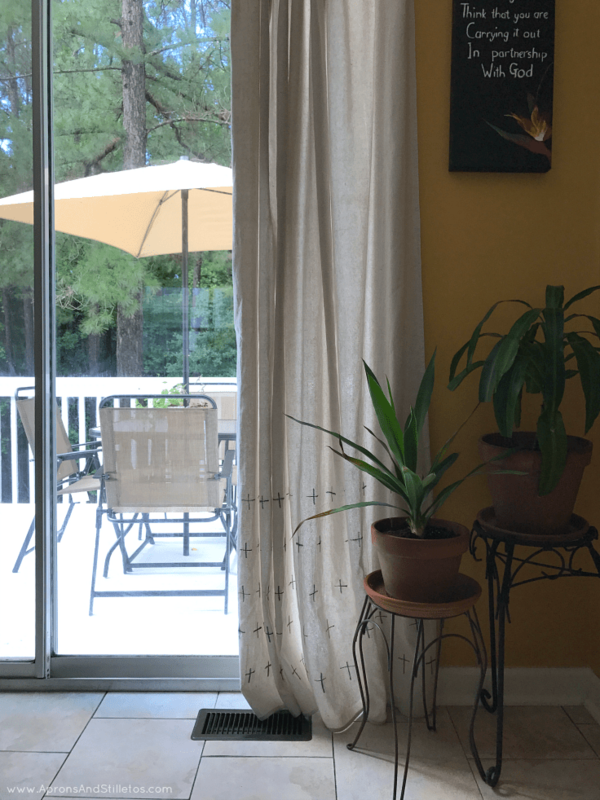 I used two laundered 6×9 foot canvas drop clothes cut to the height of my patio door. After hanging the hardware, I laid the drop cloth on the flat surface. Then using a straight edge and permenant marker I freehanded the horizontal lines for the pattern. Next, I went in with the marker and made the vertical lines. To make sure my curtain looked as straight as possible once hung, I ironed all of the wrinkles out before adding the final touch. Before hanging the curtains I applied Scotchgard™ Fabric & Upholstery Protector. 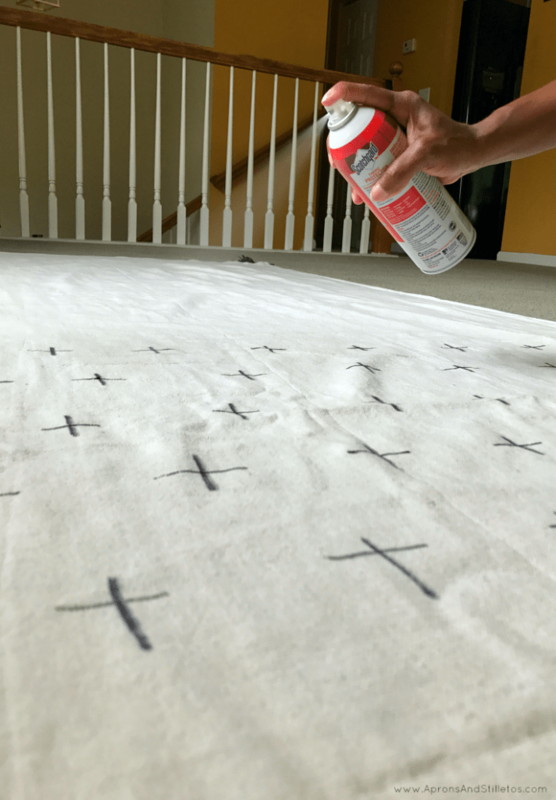 Two coats of the Scotchgard™ Fabric Protector should keep my curtains looking their best until I’m ready to wash them in the fall. It was very easy to apply and will be reapplied after I wash the curtains. I just love how the curtains turned out. Take a look. These curtains were fun to make and should hold up against stains with the Scotchgard™ Fabric & Upholstery Protector. 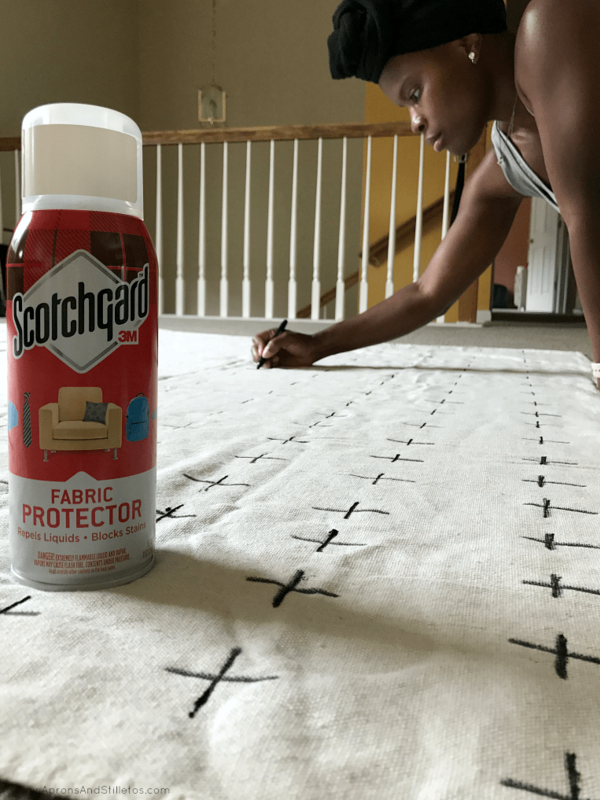 If you’re craving more fun ideas for protecting fabric and upholstery with Scotchgard, click here.